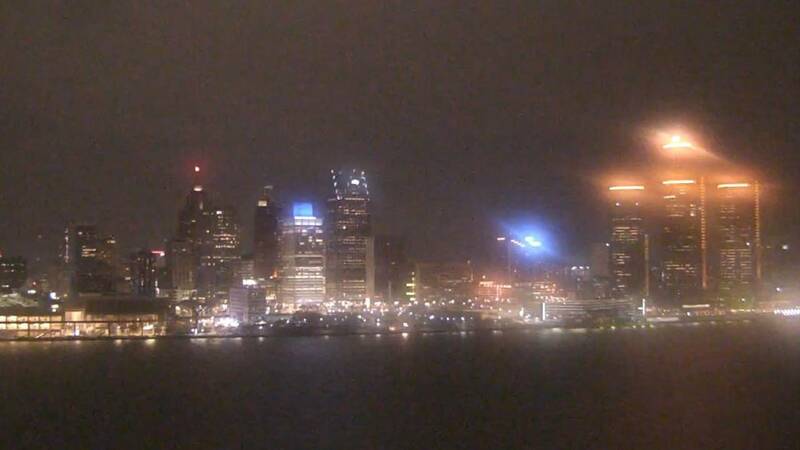 Detroit from the Windsor sky camera. Dec. 7, 2018 at 7:49 p.m.
A driver said around nine shots were fired from a car tailgating him at speeds up to 100 mph on I-275 in Oakland County, according to Michigan State Police troopers. A man who drove a car into a crowd in Charlottesville, Virginia, was convicted Friday of first-degree murder and nine other charges. Read more. A man is facing charges after allegedly shooting two people at a Sammy's Appliance store in Detroit. Learn more. Families of two victims of a shooting at a Detroit senior center are demanding action from management. Read more. The man found guilty in the murder of 15-year old April Millsap lost an appeal. Learn more. A woman suffered a life-threatening blood clot and now she wants others to be able to recognize symptoms to protect themselves and their loved ones. A 2-year-old boy was killed and four other people -- including two firefighters -- were injured Friday in a fire on Detroit's east side, officials said. The man suspected of firing shots into several homes on Detroit's west side had a kill list, according to authorities. What's been a percolating feud between the chief of police and the president of the Firefighters Union escalated Thursday with the threat of criminal charges.